Influenza vaccination rates decline as the clinic day progresses, according to quality improvement data published in JAMA Network Open. 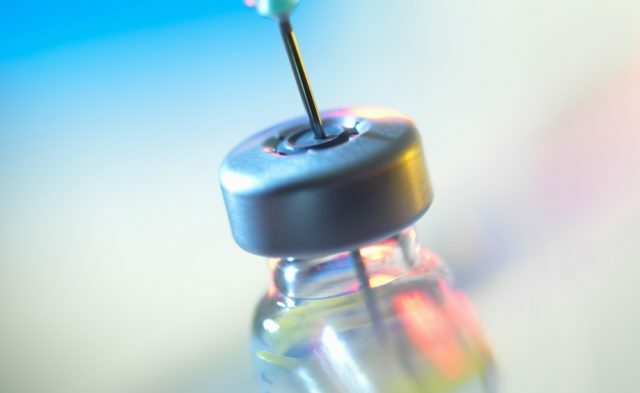 Additionally, an active intervention that prompted medical assistants to ask patients about vaccination status was associated with a significant increase in vaccine uptake. Investigators collected data from 11 participating primary care practices in the University of Pennsylvania Health System from September 2014 to March 2017. During the 2016 to 2017 influenza season, 3 primary care practices implemented the active choice intervention, which was administered to medical assistants through a best practice alert in EPIC. The total patient sample comprised 96,291 patients with mean age 56.2±17.0 years, among whom 43.5% were men, 64.2% were white, and 24.7% were black. Researchers captured influenza vaccination rate and time of vaccine delivery as primary outcome measures. Between 8 am and 10 am, vaccination rates were approximately 44% across clinic sites. As the day progressed, vaccination rates decreased steadily, to 41.2% at 11 am and 38.3% at noon. Although rates increased slightly to 40.2% at 1 pm, figures declined in the following hours to 34.3% at 3 pm and 32% at 4 pm. The likelihood of vaccination was significantly lower for each subsequent hour of the day after 8 am (adjusted odds ratio, 0.95; 95% CI, 0.94-0.96; P <.001). For the 3 years of data collection, vaccination rates were 46.9%, 47.2%, and 45.6% at control practices and 49.7%, 52.2%, and 59.3% at practices receiving active intervention. Adjusted analyses indicated a significant 9.5-percentage point increase (95% CI, 4.1-14.3) in influenza vaccination rates for intervention practices relative to control practices (P <.001). Across all practices, vaccination rates declined as the day progressed, although intervention sites maintained higher rates relative to control sites for each timepoint. These data support the efficacy of an active choice intervention directed toward medical assistants to improve influenza vaccination rates. Clinic sites may find these data useful in adapting methods to increase vaccine uptake among their patient populations. Further research is necessary to elucidate effective strategies for addressing the variations in vaccination rates across the clinic day. Kim RH, Day SC, Small DS, et al. Variations in influenza vaccination by clinic appointment time and an active choice intervention in the electronic health record to increase influenza vaccination. JAMA Network Open. 2018;1(5):e181770.